Right now I’m working on a chapter for an anthology on teaching philosophy; it is a kind of summary and expansion of a presentation I did for the American Association of Philosophy Teachers meeting last July, in Minnesota (see here for my blog post about this presentation). The anthology contains papers about presentations at the conference meeting. what are some benefits and possible drawbacks to engaging in open education? This is purely informal; I’ll just use it to inform my thoughts on these two questions (rather than reporting detailed results…I can’t claim anything about patterns of views from this very short and very informal survey!). Teaching and Learning Philosophy in the Open: Why/Not? At the 2014 meeting of the American Association of Philosophy Teachers, I facilitated a workshop discussing what “open education” means, and why/why not one might want to engage in it. I propose a chapter in the special issue of Teaching Philosophy that includes not only the results of our discussion at that meeting, but also those of a similar workshop I did at my institution, and a survey I have done in the past and will do again, asking a wider audience similar questions. In the first part of the chapter I will briefly discuss the concept of “open,” and then talk about “open education” in more detail. 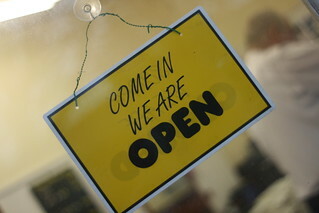 There is no single definition of “open” that is universally agreed upon, as what it means differs according to context (e.g., open access scholarly articles, open source software, open government, open data, etc.). I will talk about one definition I have found particularly useful for thinking about open education, which is the 5 “R’s” by David Wiley, open education advocate and Chief Academic Officer of Lumen Learning (http://lumenlearning.com/). According to Wiley, content is open to the degree that it allows people to retain, reuse, revise, remix and redistribute (see http://www.opencontent.org/definition/ for details on what these mean). One way to engage in open education, then, is to use, create, revise, distribute “open educational resources” (OER’s) that allow for one or more of the 5 Rs—e.g., syllabi, lecture notes, videos, audio resources, animations, and more. I will then discuss one easy way to make one’s teaching and learning resources into OER’s, namely by using Creative Commons licenses. I’ll give an overview of what those are, what one can use them to do, and the different kinds of licenses available. In the last part of this section I’ll share various ways one can engage in open education, collected both from the participants in the workshop at AAPT 2014 (some of their answers are recorded on a Google Doc, here), from a similar workshop I did at my university (answers here), and also from responses to a survey I did earlier in the summer of 2014 (and will do again), which can be accessed here. Part Two of the chapter will be devoted to discussing upsides and downsides to engaging in open education in philosophy. Material for this section will come largely from the answers from participants in workshops and a survey linked in the previous paragraph, but also from my own experiences with teaching and learning in the open. One of the participants in the AAPT workshop suggested that philosophy teachers may have a special incentive to engage in open education, given the value of what we teach to people of many ages, in many kinds of professions and life situations. We would be following in Socrates’ footsteps, who taught others without asking for payment. In this section of the chapter I will discuss reasons why one might think philosophers could have a special duty to engage in open education, but ultimately I will conclude that the benefits and drawbacks must be weighed by each individual in their particular situation to decide if they should do so. Posted in Open Access, open ed, OER and tagged openness on October 25, 2014 by Christina Hendricks.